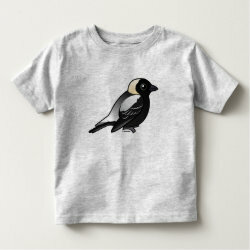 Bobolinks are small migratory birds that breed in grasslands across northern parts of the United States and parts of Canada. 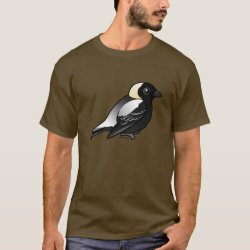 Breeding males, depicted here in cute Birdorable style, have unique plumage. 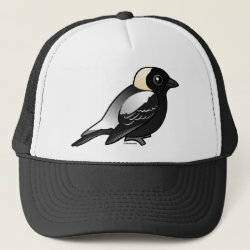 They have black fronts and cream more... or white backs. 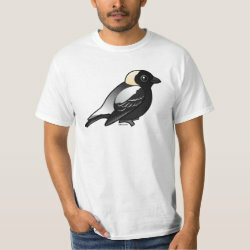 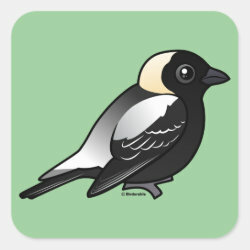 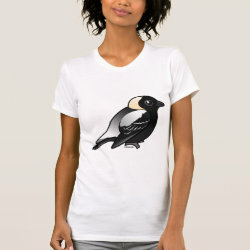 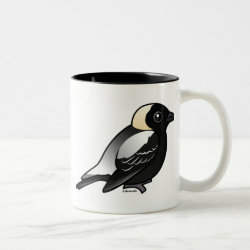 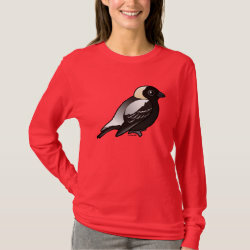 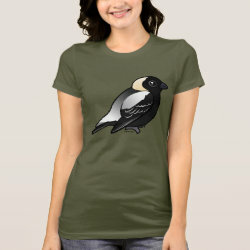 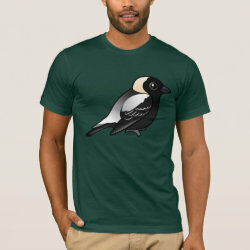 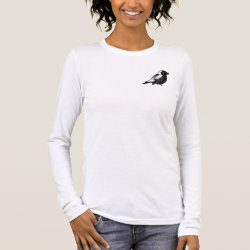 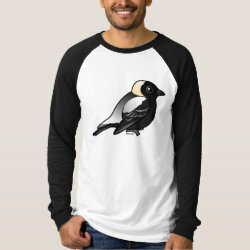 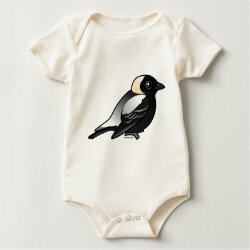 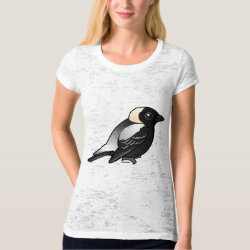 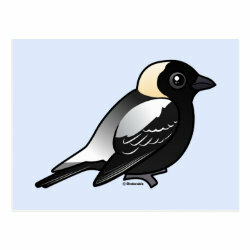 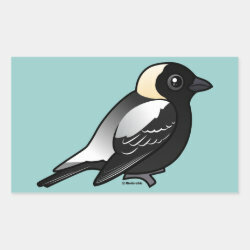 Our cute cartoon Bobolink looks great on apparel and gifts and is perfect for fans of these beautiful birds.